When I think about blood pressure I think about those free blood pressure machines you find at pharmacies. I always sit down and let them squeeze the hell out of my arms until some random numbers flash up on the screen. I used to never know what those numbers meant. I just knew that each had to be below a certain level and if they were then I was the healthiest person on the planet. Of course, that isn’t true, but that’s how the machine makes me feel. Your blood pressure is typically recorded as two numbers that are written in a ratio like this: 177/76. This is read as “117 over 76”. If you really want to get medical it is technically read as “117 over 76 millimeters of mercury”. That makes it sound much scarier than it really is. So what are these numbers and what do they represent? Systolic: The top number, which should always be the higher number of the two (if not go see the grim reaper), measures the pressure in the arteries when the heart beats. Diastolic: The bottom number measures the pressure in the arteries between heartbeats. Make sense? When your heart beats it pumps blood through your arteries causing them to expand and therefore the pressure rises. What Is the Recommendation for Healthy Blood Pressure? This blood pressure table reflects categories defined by the American Heart Association so if you have a problem with them, then take it up with them. Don’t shoot the messenger! A single higher blood pressure reading doesn’t necessarily mean that you have high blood pressure. You could’ve just climbed Mt. Everest so it’s important to do multiple readings over time. 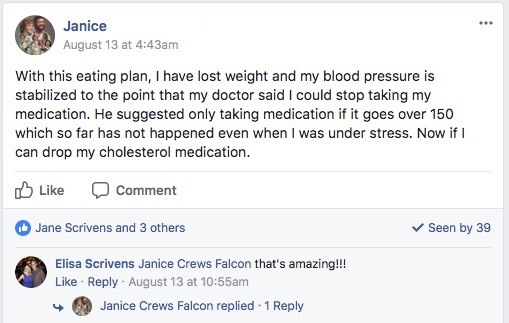 If they all show consistent readings of high blood pressure then you will need to work on lowering your blood pressure. Here are 8 foods that will help to lower your blood pressure naturally. This fruit contains a lot of potassium. 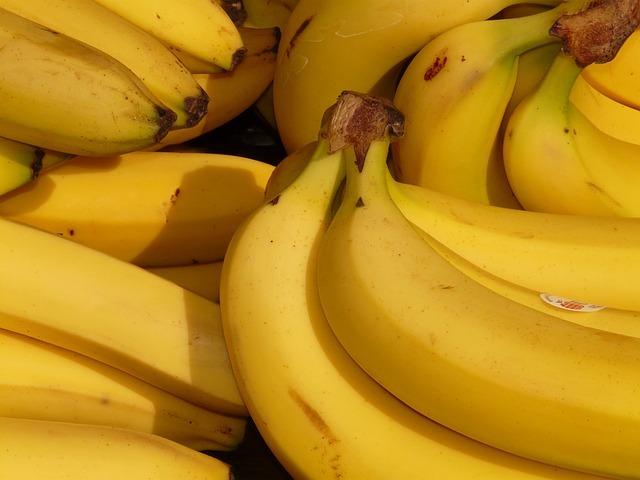 Potassium is known to decrease the harmful effects of sodium. Potassium helps sodium pass through your body in your urine. The more potassium you consume, the faster sodium will leave your body. Potassium also naturally opens up your blood vessels allowing your blood pressure to decrease. Berries have pigments called anthocyanins. These are the pigments that give berries their color. It has been said that these pigments help lower blood pressure. 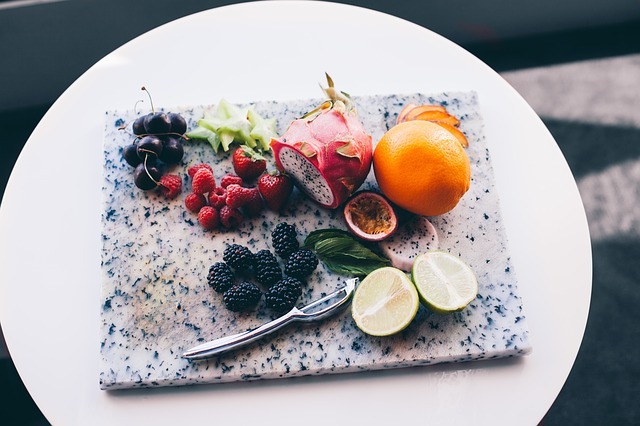 These antioxidants also help lower the risk of cardiovascular disease. Anthocyanins can also be found in dark chocolates and red wines, which have been said to reduce the risk of cardiovascular disease as well. The nitrates in beets and beet juice help keep your blood vessels clean. Your vessels will have less gunk in them. When you have clean blood vessels, your blood pressure is going to be more regular. Beans contain multiple nutrients that aid in the reduction and regulation of blood pressure. 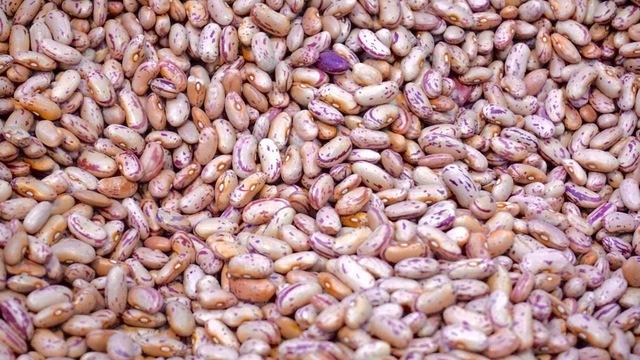 All beans contain soluble fiber, potassium, and magnesium. The combination of these nutrients allows your body to pass sodium faster, cleans your blood vessels, and keeps your bowel movements regular. Compared to high-fat dairies, low-fat dairies contain calcium and vitamin D which have been known to help reduce blood pressure. They also form milk peptides, which help aid in heart health, when they are digested. Nectarines have a high quantity of potassium and magnesium. They are low in sodium as well. By this time, you know exactly how each of these nutrients will be able to effect your blood pressure. 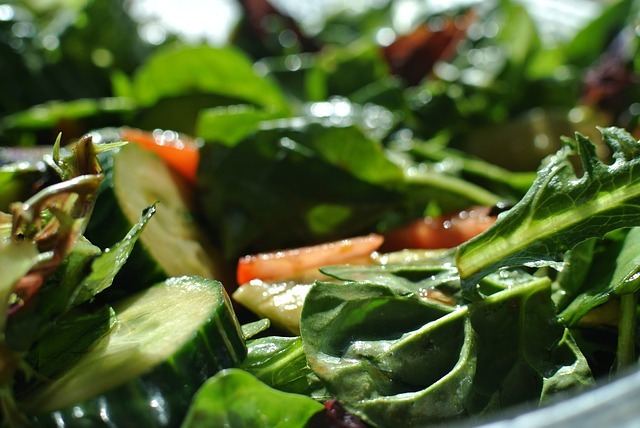 Spinach also has a high quantity of potassium and is low in sodium. They contain a lot of nitrates as well. You can think of spinach as having the benefits of both beets and bananas. Calcium, magnesium, and potassium are the key nutrients in sweet potatoes. A lot of people avoid eating the skin of the potato, but if you are trying to look out for your health, then you should really consider eating the skin. The skin will give you that extra boost of nutrients without overdoing it. Of course eating these foods alone might not help you get to the blood pressure readings that you want. You’ll have to add in some other things to help with lowering your blood pressure. This is the most important step in maintaining healthy blood pressure. Losing excessive weight is important for lowering blood pressure. Nobody is saying you have to hit the gym, although that will help. Incorporate daily walks into your routine. These are helpful for lowering stress and dropping your blood pressure. If you want to take it further than daily walks then you can start with yoga or Pilates. By stretching your muscles regularly, you will improve circulation, alleviate pain in the muscles, improve your posture, and take a major step in helping to reduce hypertension. Stress can have a temporary effect on increasing blood pressure. If you can keep your stress low then that’s just another way to maintain a healthy blood pressure. Exercising is a great way to lower stress. You can also try meditation and deep breathing. Living a healthy style also means that you are making the right choices for your blood pressure. Maintaining a healthy blood pressure means a better outlook on life. We are the Thrive/Strive crew. A family just trying to find the best ways to achieve happier bodies. On Thrive/Strive we share our ups and downs, experiments, and overall journey so hopefully inspire and educate other awesome people. We are so happy you are here! If you are looking to get a healthier body and happier state of mind then this is the place to be. Hard to Be Happy Without Being Healthy. It’s Time to Challenge Yourself to Be Better. The secret behind the people that know how to lose weight and those that struggle to lose weight is knowledge. It has nothing to do with secret pills or crazy workouts. In this 3 day challenge, you'll learn why your body loves to store fat, how you can turn it into a fat burning machine, and how to maintain the lifestyle through awesome meals. Start Your Free 3-Day Weight Loss Challenge Today! Enjoyed 8 Foods That Naturally Lower Blood Pressure? Share it with your friends so they to can follow the Thrive/Strive journey. 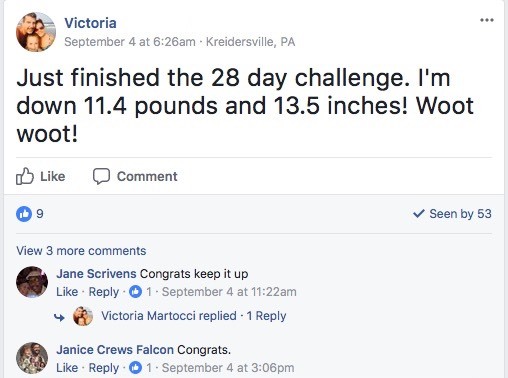 Are you doing keto and also want to exercise? If you're looking to drink on a ketogenic diet, look no further. Here are 7 keto alcohol recipes that are going to keep you in ketosis while you're out having fun. We are never perfect. Everyone makes mistakes, especially starting a new diet like the ketogenic diet. Here are 9 common keto mistakes and how you can avoid them. Reaching your daily macros on a ketogenic diet can sometimes be hard. Here are 11 keto fat bombs that will help you reach them. If you aren't convinced about the ketogenic diet yet, here are 13 keto crockpot recipes that you need to try right now. Looking for some delicious keto desserts? These 13 keto desserts will keep you in ketosis and losing weight. Thinking about trying the ketogenic diet? You might be wondering what the benefits of keto are. This post goes over the many benefits of keto. Switching to a ketogenic diet doesn't mean you have to give up your favorite flavors and textures. These keto substitutes will have you thinking you're eating your old favorites. Looking for keto dinners that you can easily prepare? Here are 16 awesome low carb dinners to help you stay on track with the ketogenic diet. Is there any better place to workout than at home? In this 20 minute living room workout you'll get a nice sweat while burning fat and losing weight fast. Experience keto flu? What is it? How do you beat it? This post shows you how to fight keto flu in a healthy way that keeps you in ketosis. Alcohol on a Keto Diet: What Is Safe to Drink While in Ketosis? Is it okay to drink alcohol while on the ketogenic diet? If you're trying to stay in ketosis it's okay to drink alcohol on keto as long as you are drinking the right things. Looking to get a good workout in for your lower body? Here is an extreme lower body workout that you can do at home. Sugar tastes great but it's like a drug that can tear your body apart. How do you quit a sugar addiction, though? Here are the steps that I use to quit mine. Getting a better booty doesn't mean you need to squat yourself to death. This workout is squat free and still targets the right muscles. It can be hard to squeeze in a nice yoga session if you work all day. Fortunately we have some yoga moves that you can do in your office. You don't have to do 2 hour workouts to get flat abs. You just have to target the right muscles with the right moves. Doing this 5 minute daily workout routine will help you get closer to your dream of flat abs.